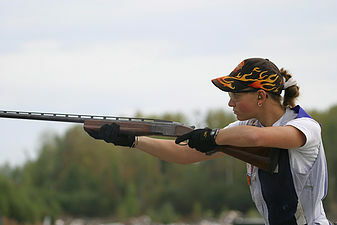 The youth shotgun (sporting clays) league introduces kids, ages 10-15 to lifelong shooting skills that can be that can be used in the field and on the range. Safe firearm handling is the most important skill learned in this league. We offer two ten week sessions per year (spring and fall). We currently have about 100 kids in the program. Each team has 2-3 volunteer coaches and 5-6 shooters. 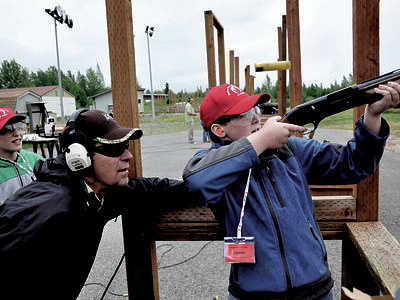 Each kid shoots 50 rounds per week 25 practice and 25 for score (one night a week). At the end of each session we have and awards banquet. We are always looking for more volunteer coaches. If you are interested please contact us. For current schedule and to register click here.